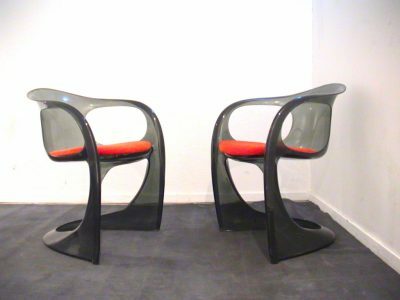 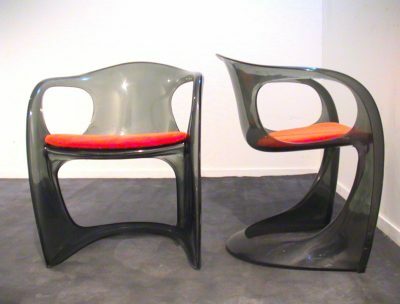 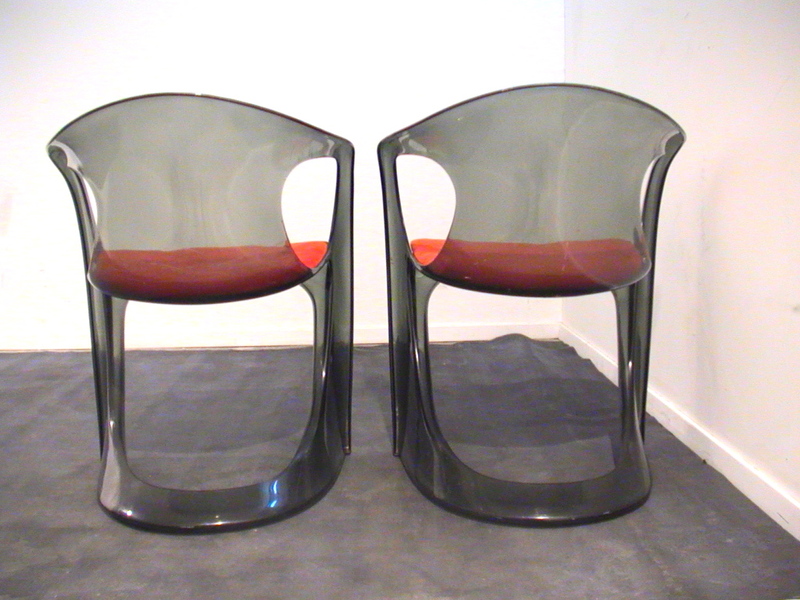 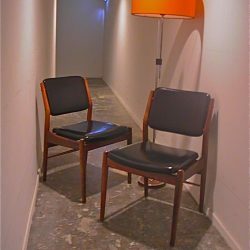 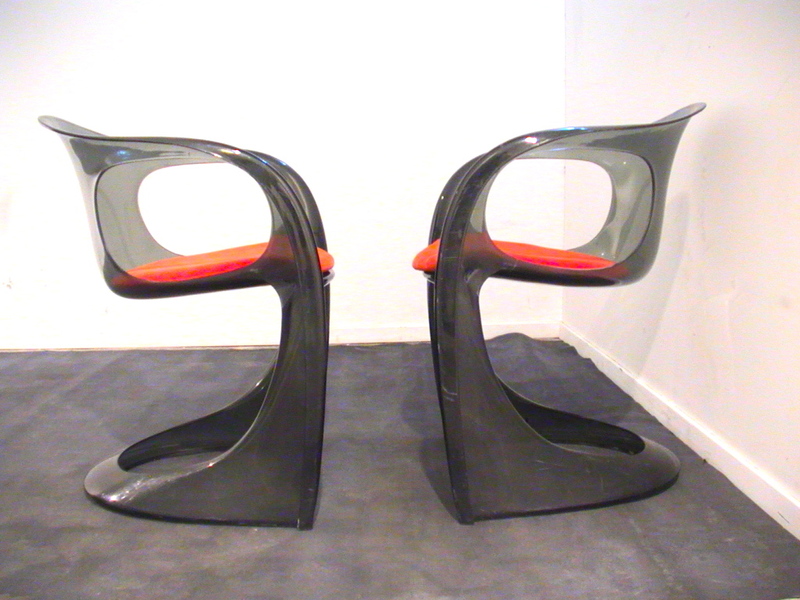 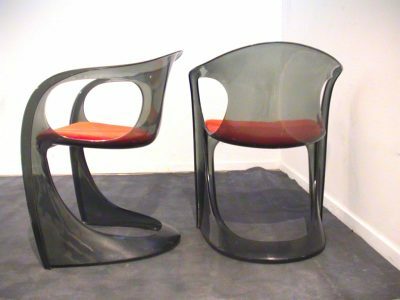 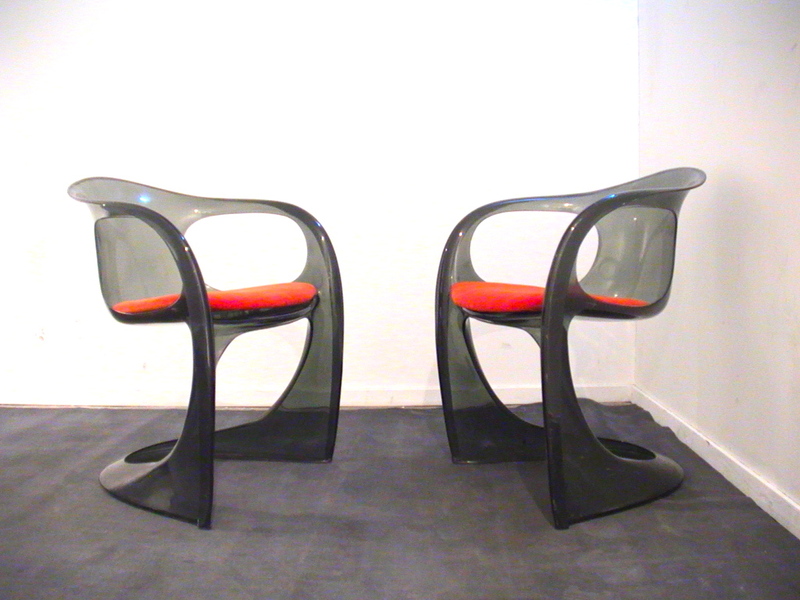 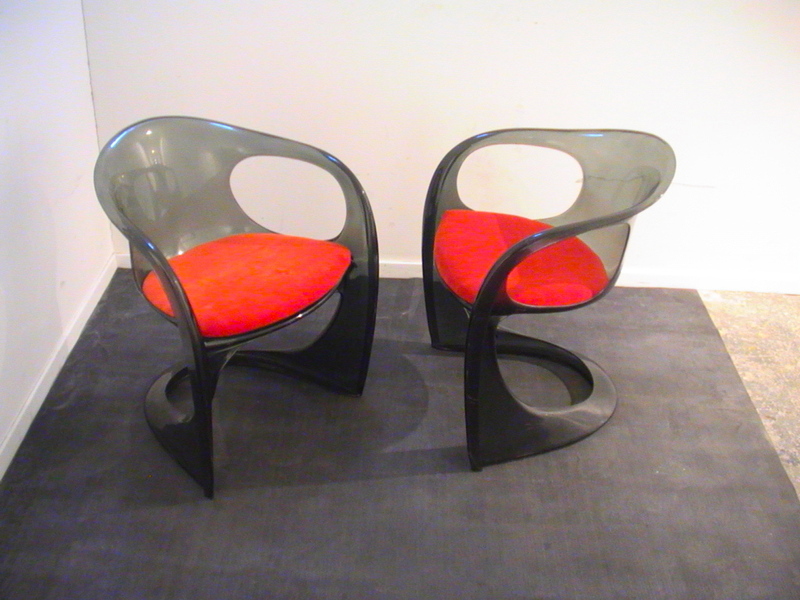 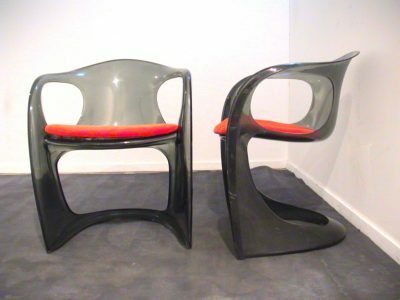 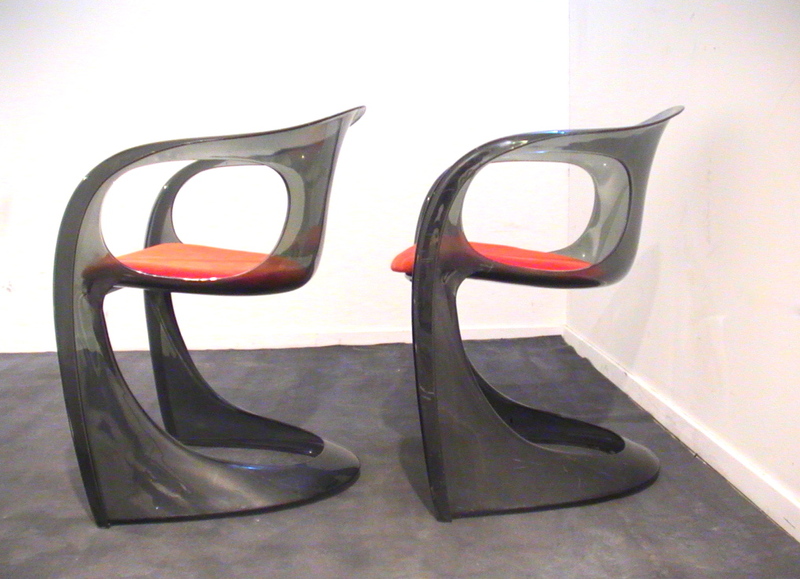 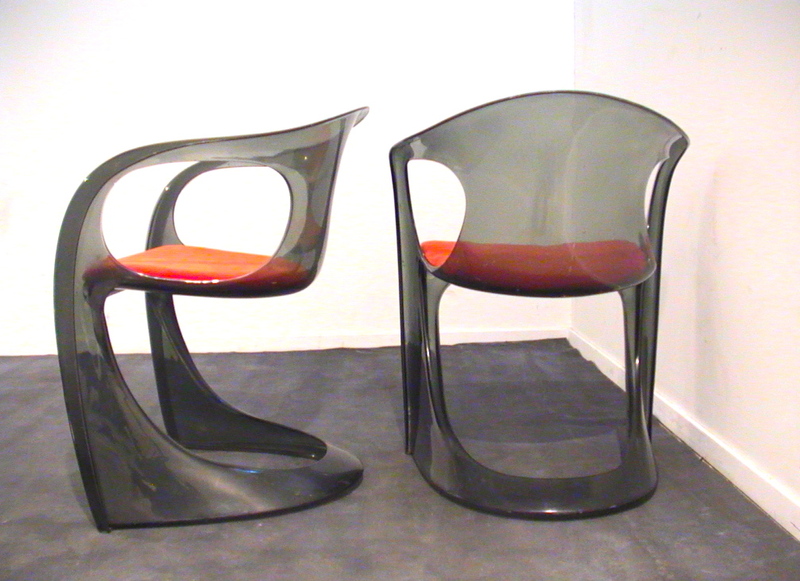 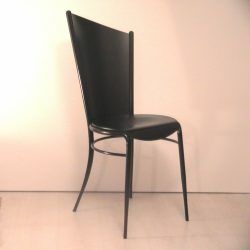 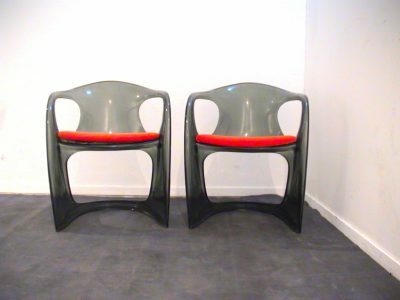 A gorgeous sleek Mid Century pair of smoked Lucite armchairs, by Alexander Begge for Casala are as desirable and iconic today as it was in the 70’s. Perfect in their simplicity and sensuous design, these beauties have their original cushions, recovered with orange velvet. 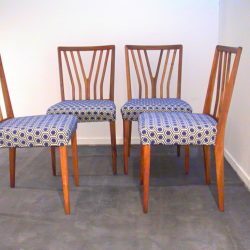 Perfect chairs for elegant dining by candlelight. 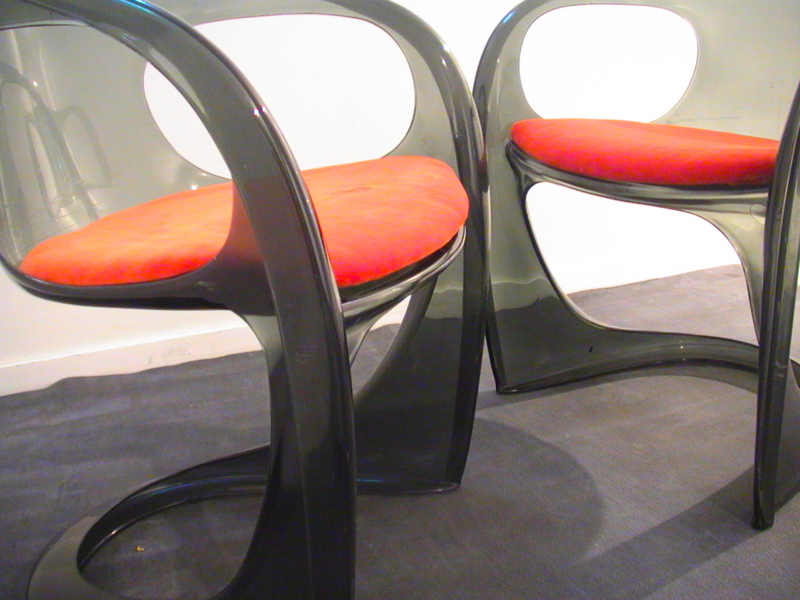 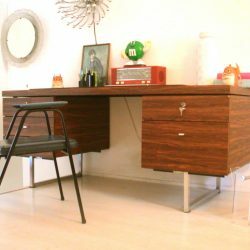 Vintage Lucite, so easy to move around your home, the chairs are solid and well-made, enough to have lasted these many decades in such great condition. 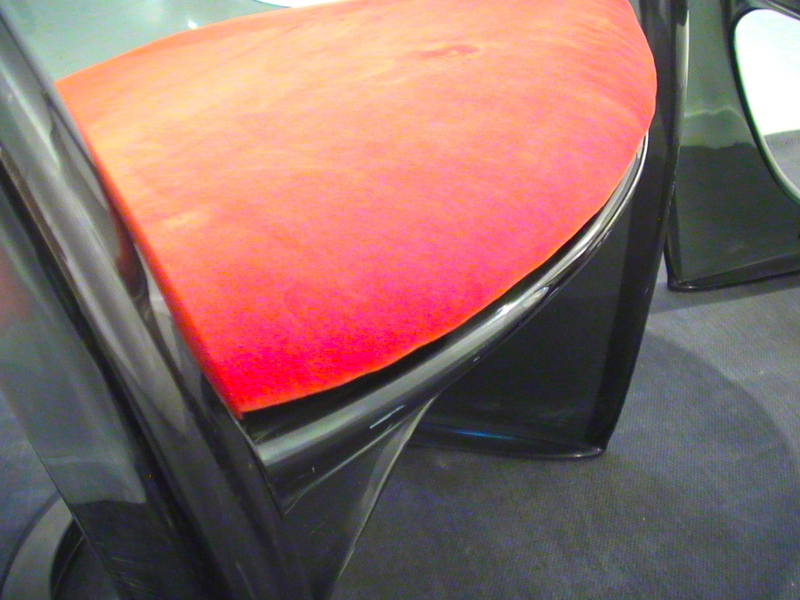 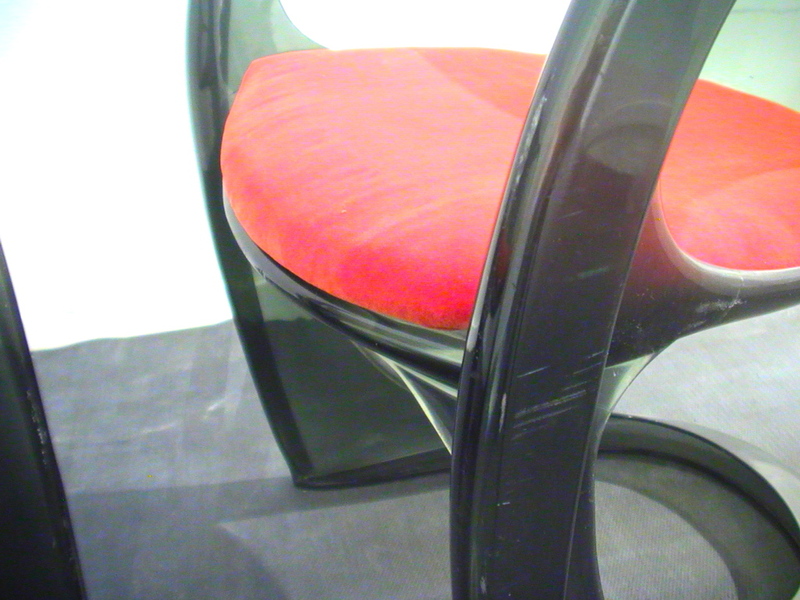 Condition of the chairs is good with light wear consistent with age and use and one tiny crack under the cushion of one chair.